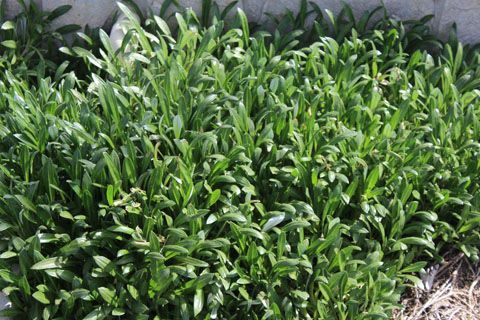 Creeping Boodbialla (myoporum parvifolium) is one of the most popular groundcovers in Fresno. A 1 gallon plant can spread over 8ft in just a few years. Low spreading 6-12 in tall, this evergreen is quite hardy to cold, heat and can be mowed or cut back as needed. 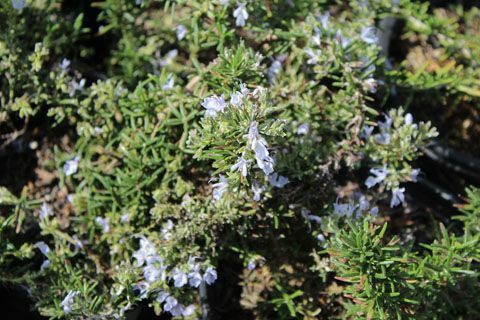 Small white flowers appear in spring for added color. It's a good lawn substitute, erosion control on slopes or wide border. Best to plant in spring to allow establishment of roots. Light fertilizing will make it grow even faster! Purchase as a 1 gallon or by the flat.